We don’t want to brag, but we think it’s the best stuff around. Many “compost” products don’t bring a whole lot to the table. Our compost is made with locally sourced all-natural feedstocks including food scraps, leaf and wood waste, and agricultural residuals that we blend and age carefully – and fully – so that you only get mature, weed and pesticide-free compost for your planting project. We pay extra time and attention to all of our products to create the best in all-natural growing media. We are happy to deliver anywhere in the area at a rate of $2.25/mile from our site (one-way). For loads of 10 cubic yards and up, we offer large-scale hauling at $80-90/hr driving time (round trip), depending on the size of the load. Yes. For orders of 25 yards or more, we can offer bulk discounts. Please contact us so we can learn more about your needs and provide you with a quote. We have no minimum for onsite purchase and pickup. For delivery within 30 miles, we have a minimum of 4 cubic yards. Beyond that, we are happy to deliver anywhere in quantities of 5 yards and above. For orders traveling 75 miles or more, minimum order of 8 cubic yards applies. What time of year should I apply compost? There’s never a bad time to condition your soil with compost, but we recommend doing so before the planting season has begun if you plan to till or heavily mix into your garden. Top-dressing around plants is a good idea year-round. Our favorite time to add compost is after the planting season is over in late Fall or early Winter. This allows the microbial life in our products to benefit your soil through the off-season so you’ll be ready for Spring, Summer, or Fall planting. How much material can I pick up myself? Most full size pickups can handle up to 2 yards of compost or 1-1.5 yards of soil product depending on the size of the pickup truck bed. Never load more than what is reasonable or what your vehicle is specified to carry. It’s always a good idea to bring a tarp to cover your load. We make the finest all-natural mulch around. It is double-ground and aged to perfection, with no additives or chemical colorants. We find that this better mimics what you’d find on the forest floor. We recommend applying mulch to a depth of 3 inches or more to insulate roots, cut down on weeds, and add carbon to your soil. Mulch should be placed around and between the plants. Avoid covering your plants and keep the mulch an inch or two from the plant stems. The mulch should be raked or “fluffed” periodically. This prevents it from compacting and repelling rain. Replenish mulch periodically to maintain thickness and color. We collect all forms of food waste including meat, dairy, bones and fish waste, as well as all plant material and paper goods. If it was once alive, we can compost it! How much space do the bins take up? We offer collection of bins from 64-gallon roller carts to 10 cubic yard dumpsters. There’s always room for a compost bin! As part of your total waste-disposal costs, composting is very cost-effective. We make every effort to collect your food and/or green waste at or below what it costs to have it landfilled, because we don’t want you to pay more for doing the right thing. When the heavy stuff is diverted to composting, we often find that customers can reduce their regular trash cost by using smaller containers serviced less frequently, and therefore remain cost-neutral when all costs are factored-in. Why is it beneficial for my business? Sustainable business practices are proven to increase customer loyalty and retention. It’s even a great way to attract the best employees, a growing number of whom express a desire to work in offices, restaurants, schools and venues that are environmentally considerate. We collect compostable material at least once per week to make sure that you’re not left with any unpleasant odor in your workplace. In many cases, we collect 2-3x weekly, as fits your needs and budget. All of our bins have lids and are cleaned at EVERY pickup, which is something you won’t get from your average trash hauler.  Because odors and pests are primary concerns around composting, we take extra care to avoid these issues and will work with you to make going green a clean, easy, and efficient process.